Yes I know what you’re thinking. 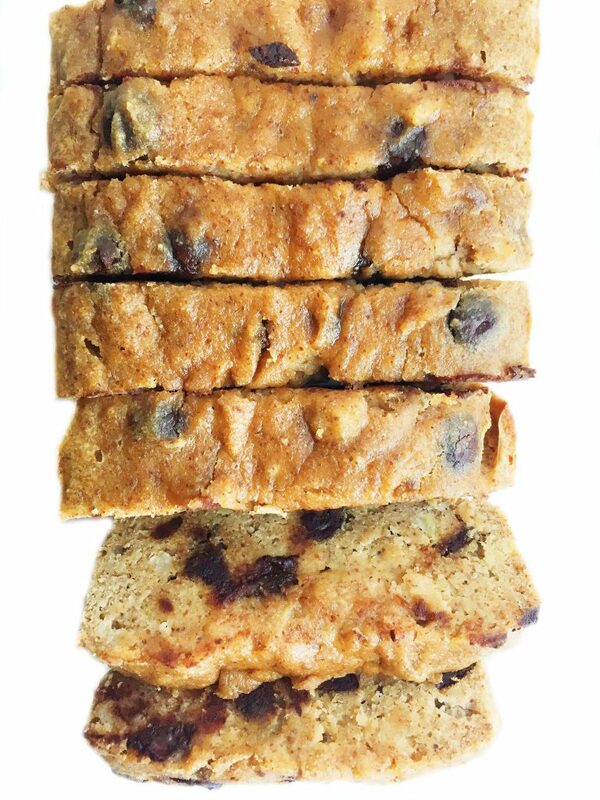 This Grain-free Chocolate Chip Banana Bread is going to taste like straight up cardboard. .. But you couldn’t be more wrong. 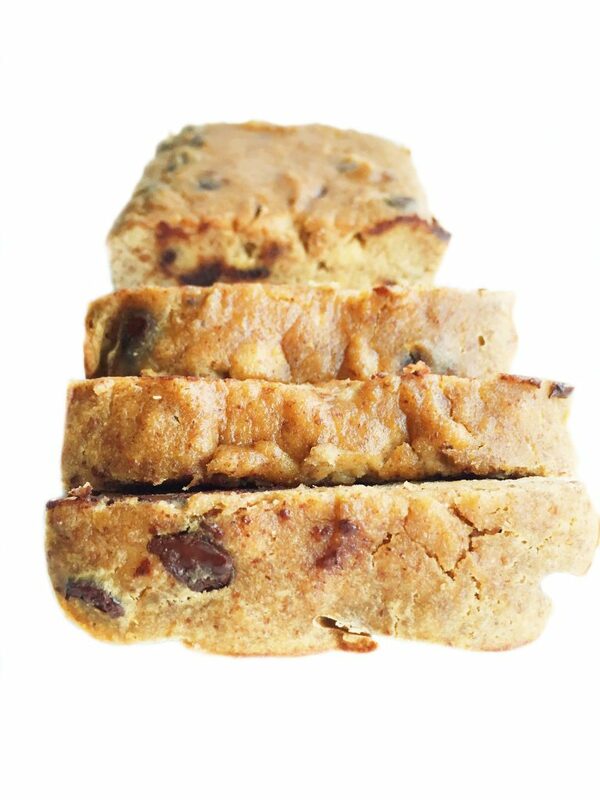 Coming from a banana bread connoisseur, who’s Mom always has some in the house, this is the most perfect banana bread if you’re looking for a lighter yet still delicious banana bread. Especially for any of my gluten free/paleo-ish readers. It is so soft, so moist (no, that word isn’t gross to me) and absolutely addicting. 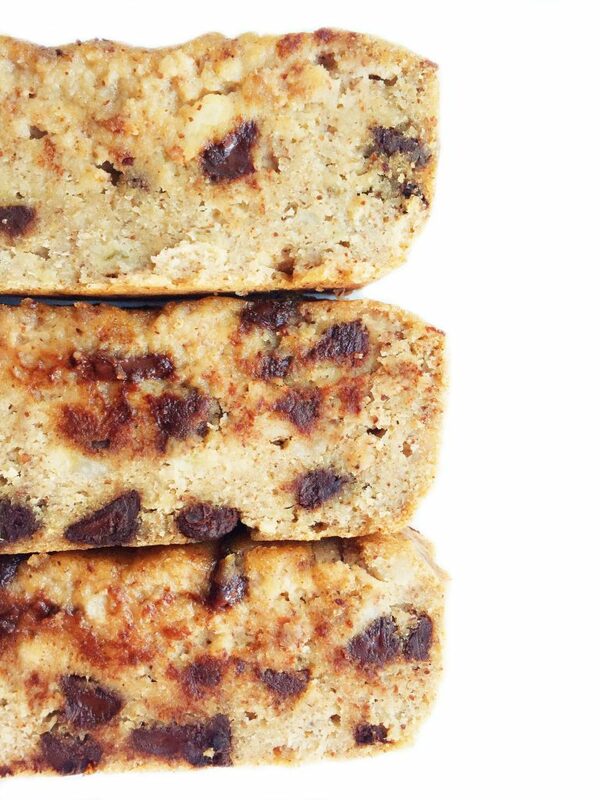 In fact, it is delicious for basically anyone who loves a quality piece (or 3) of banana bread. I have been siting on this recipe for over a month now and have made it a total of 3 times so far. I’m pretty excited that this is paleo-friendly. I’m not one to go on the paleo diet (or any specific diet for that matter), but I really love experimenting with new ways of cooking and baking. Paleo is something I’m not quite familiar with in the kitchen. All I know is that whenever I have ate a paleo dessert (hello Hu Kitchen), I never feel bloated, heavy or straight up BLAH afterwards. I really think limited grains and “cleaner” sugars in desserts is a game changer. I don’t even have white flour or refined sugar in my home. I use coconut flour, almond flour, oat flour, etc. for any of my recipes. When it comes to sugar, I use coconut sugar, agave, maple syrup, honey, and sometimes brown sugar, when I need a sweetener. 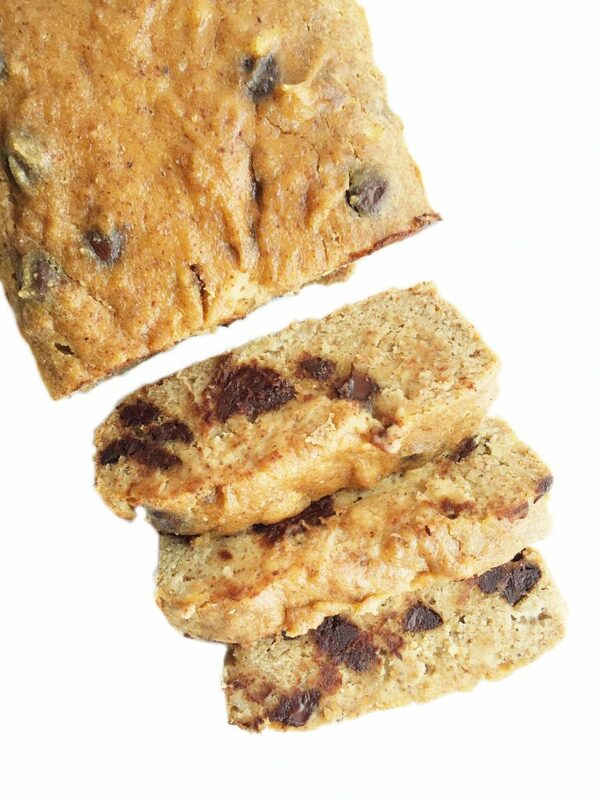 This Grain-free Chocolate Chip Banana Bread uses coconut flour as the flour and a very small amount of agave as the sweeter. For both of these ingredients, I used Better Body Foods organic coconut flour & organic agave. I spoke about how amazing Better Body Food’s products are in my 3-ingredient Peanut Butter Cookies and this Stovetop Oatmeal Raisin Cookie Granola. They sell organic products that we can use in SO many different recipes. Hello, heaven. This recipe was inspired by Civilized Cave Man Cooking. Can I use regular flour instead of coconut? How would this go using oat flour instead of coconut flour? Are they very different to cook with? Thanks, recipe looks delicious! Could you recommend a baking time if using a muffin tin instead of a loaf pan? I’m so bad at getting the conversion right. Thanks!